Adam Brooke Davis (prose, managing editor) has published scholarly articles in linguistics, literature, medieval studies and folklore, as well as fiction, poetry and translations. Geoffrey Clark is author of seven volumes of fiction, including Rabbit Fever and Wedding in October. 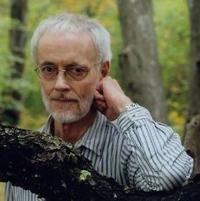 He taught creative writing and literature at Roger Williams University for 28 years. He was Coordinator of the Fine Arts Division for several years, and retired in 1999 as Professor of Creative Writing. Erin Flanagan is author of the short story collection The Usual Mistakes, published by the University of Nebraska Press in their Flyover Fiction Series. Her stories have appeared in Colorado Review, Connecticut Review, the Best New American Voices anthology series and elsewhere, and she has held fellowships and scholarships to the Bread Loaf and Sewanee Writers' Conferences, Yaddo, and MacDowell. She is an Assistant Professor of English at Wright State University in Dayton, Ohio. Rachel Kempf is an Austin-based writer of fiction, nonfiction, plays, and screenplays. Her teleplay "Menagomy" won Best Comedy Pilot in the 2011 NexTV Writing & Pitch Competition, and her essay "Tricycle" was included in Random House's 2006 collection Twentysomething Essays by Twentysomething Authors: The Best New Voices of 2006. Rachel is a full-time editor for a romance e-book publisher. Barry Kitterman teaches creative writing at Austin Peay State University in Clarksville, Tennessee. He has published widely in the literary magazines, and is senior editor of Zone 3. Robert Garner McBrearty's fiction has appeared in the Pushcart Prize anthology, and in North American Review, Missouri Review, New England Review, Storyquarterly, GHLL, and in a number of other journals. His collection of short stories, A Night at the Y, was profiled in the 2001 Writer's Digest Novel and Short Story Writer's Market. He was awarded the Sherwood Anderson Foundation Fiction Award (with an honorarium of $15,000) in 2007 and was featured in The Writer in the “How I Write” section in November 2007. His second short story collection, Episode, by Pocol Press, appeared in 2009. Robert teaches writing at the University of Colorado. Midge Raymond's short-story collection, Forgetting English, received the Spokane Prize for Short Fiction and is forthcoming from Eastern Washington University Press in the fall of 2008. Her fiction and nonfiction has appeared in a variety of newspapers and magazines, including the Los Angeles Times, Bellevue Literary Review, Ontario Review, Indiana Review, North American Review, and others. She is co- founder of San Diego’s Metropolitan Writing Works (www.metrowriting.com) and serves on the board of directors of the literary collaborative San Diego Writers, Ink. 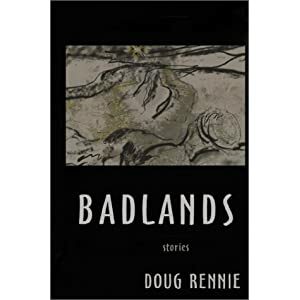 Doug Rennie is a Portland, Oregon, writer whose short stories have appeared in several dozen magazines and literary journals including American Way, Chicago Tribune Magazine, Whetstone, Berkeley Fiction Review, and several anthologies including American Fiction: Best Stories by Emerging Writers and Traveler's Tales: Italy. In 2003, he was a finalist for the Oregon Book Award for Fiction. His books include Badlands. Jude Russell has combined twenty-five years as a professional visual artist with a life-long study of languages to activate a new life as a short story writer. Her first published work was in the 2004 edition of GHLL, whereupon she was asked to join the editorial board for the 2005 issue. Founding (and retired ) editor Jack Smith’s novel Hog to Hog won the 2007 George Garrett Fiction Prize and was published by Texas Review Press in 2008. He has published stories in a number of literary magazines, including The Southern Review, North American Review, The Texas Review, X-Connect, In Posse Review, and Night Train. His reviews have appeared widely in such publications as Ploughshares, Georgia Review, American Book Review, Prairie Schooner, Mid-American Review, Pleiades, and The Missouri Review. He writes regularly for Novel & Short Story Writer's Market and The Writer. His co-authored nonfiction environmental book entitled Killing Me Softly was published by Monthly Review Press in 2002. John Talbird's fiction has appeared in Laurel Review, Berkeley Fiction Review, and Coe Review, among others. He is an assistant professor of English at Queensborough Community College-CUNY, and lives in Brooklyn, NY. Lee Edgar Tyler is Associate Professor of English and director of the Global Studies Program at Baton Rouge Community College, and has served on the editorial staffs of The Missouri Review and Chariton Review, and former managing editor of Oral Tradition. Sabra Wineteer grew up in Moss Bluff, Louisiana. She has since lived in England, New Zealand, Germany, Missouri, Tennessee, Texas, and currently lives in rural Pennsylvania with her husband and their three tweens. Her work has appeared in TWINS Magazine, storySouth, The Rumpus, 7X20, and the anthology 140 And Counting. She has workshopped her fiction with Antonya Nelson, Charles D'Ambrosio, and Margaret Atwood. She is the 2012 Joyce Horton Johnson Fiction Award recipient. Mark Wisniewski's first novel, Confessions of a Polish Used Car Salesman, is in its second printing. His collection of short stories, All Weekend with the Lights On, was praised by Publisher's Weekly, Prairie Schooner, StoryQuarterly, Clarence Major, Gordon Weaver, and Oakley Hall. He has won a Pushcart Prize, and more than a hundred of his stories have appeared in magazines such at The Yale Review, The Georgia Review, The Missouri Review, Indiana Review, The Gettysburg Review, and The Sun. His story “Straightaway,” originally appearing in Antioch Review, was chosen for the 2008 Best American Short Stories.